Clare Hall is perhaps the most unusual-looking of the Cambridge colleges, and makes for a surprising visit. 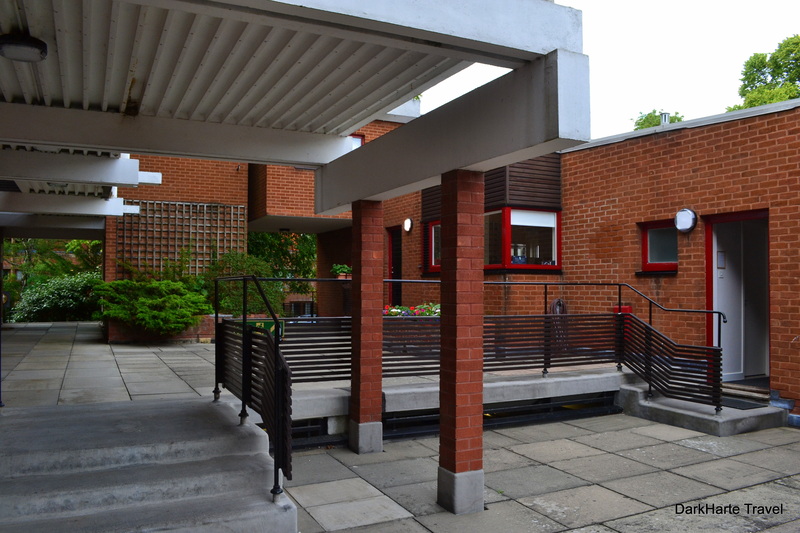 Designed more akin to a block of 1960s flats than a traditional college, Clare Hall nonetheless has an interesting history. 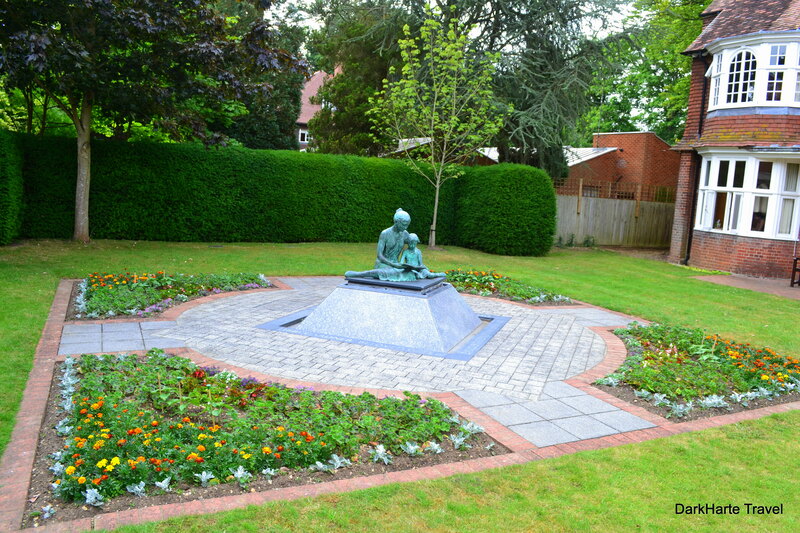 Clare Hall was founded in 1966 directly by Clare College, as a college of advanced study that would be closely linked to the ancient Clare College. 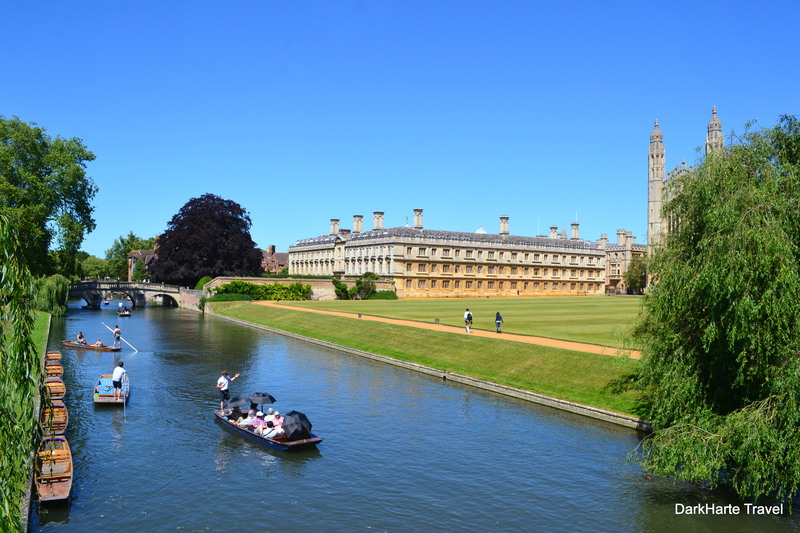 Clare College donated land in Cambridge, buildings, and funds to found the new college, and appointed one of its own fellows as the first President of Clare Hall. Being a college of advanced study, Clare Hall admits only postgraduate students, and has good provision for graduate students with families. This is unusual among the colleges in Cambridge, which are generally more oriented around young, single students. 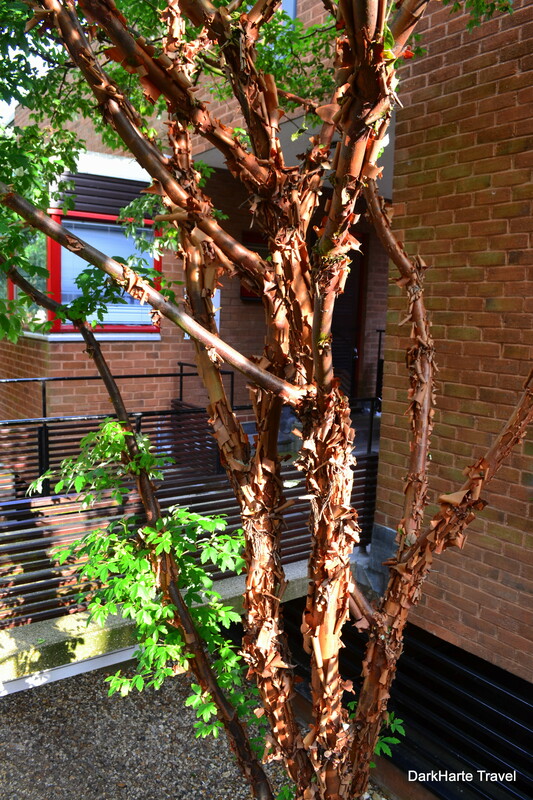 A paper bark maple at the front entrance, Clare Hall. 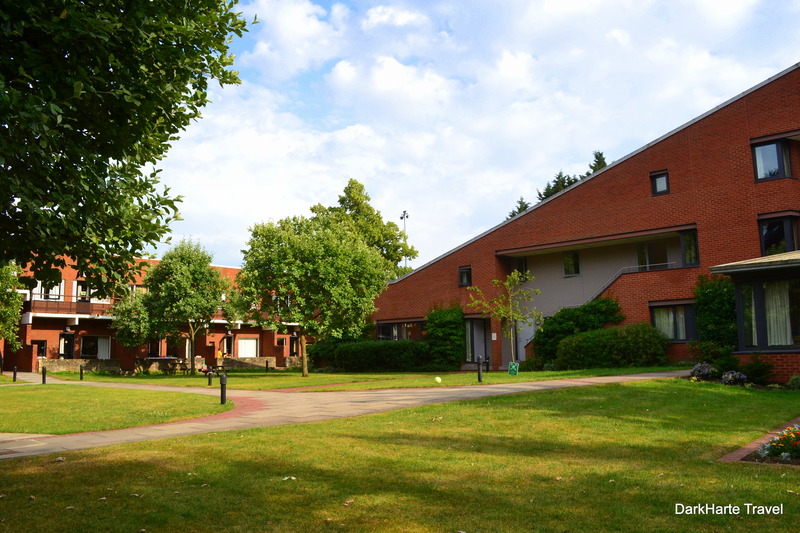 Some of the college residences are self-contained ground floor flats laid out around a lawn. They each have their own front verandas, a little outdoor yard with a seating area and a low wall connecting it to the courtyard lawn beyond. I saw a few children playing in their verandas. Overall the college had a distinctly family feel, and seemed more like a community oriented around people with young families and adult responsibilities than any of the other colleges I have visited. 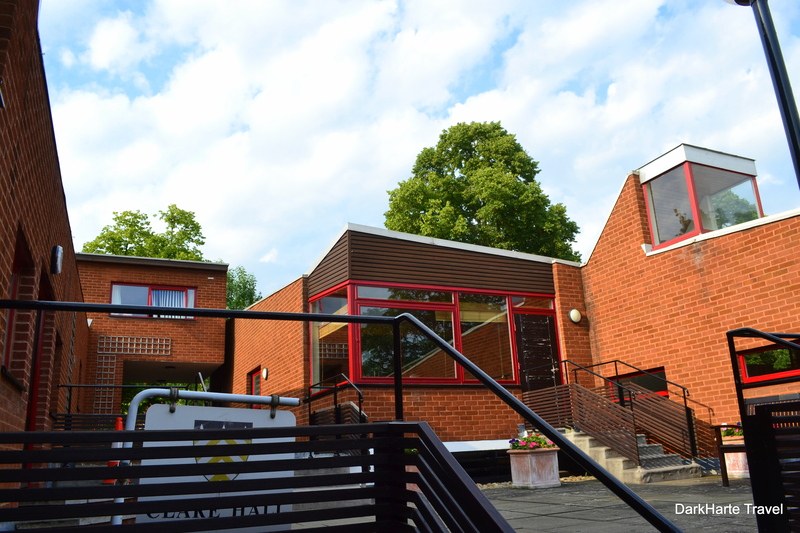 Clare Hall seems to provide the practical support and facilities necessary to enable postgraduates of any background to be able to focus fully on their academic ambitions. I could imagine it being a very supportive and friendly atmosphere both for graduate students and their children, as they live within a specialised supportive community. 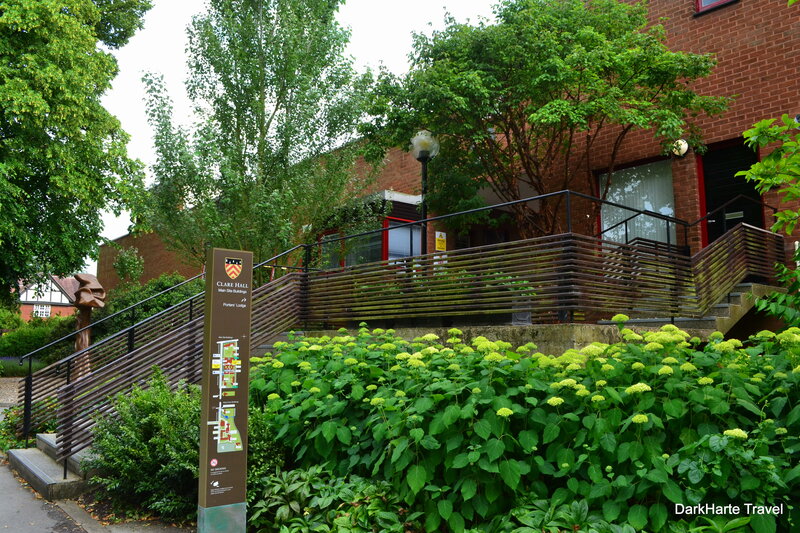 I was impressed with this community and its provision for students of diverse backgrounds and life situations, but it was one of the colleges I’ve felt most out of place while wandering around. It’s not a college that I imagine many people visit, and because the population is graduate students with families, there are always people in residence. 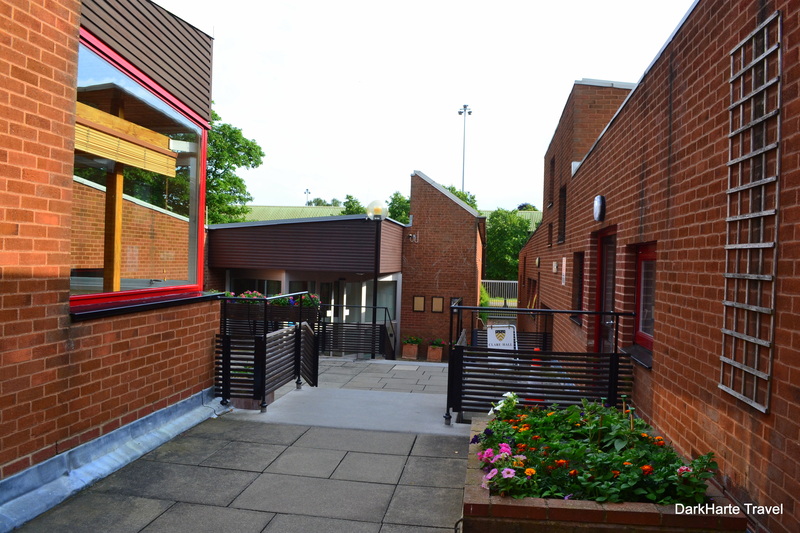 (At the traditional colleges, not only are they more mixed building functions and not just residential, but it’s predominantly undergraduates living in college, so outside of term time – and all during the summer – few people are in residence.) Visiting Clare Hall feels slightly uncomfortable, more like walking around a private block of people’s houses than visiting a standard college. 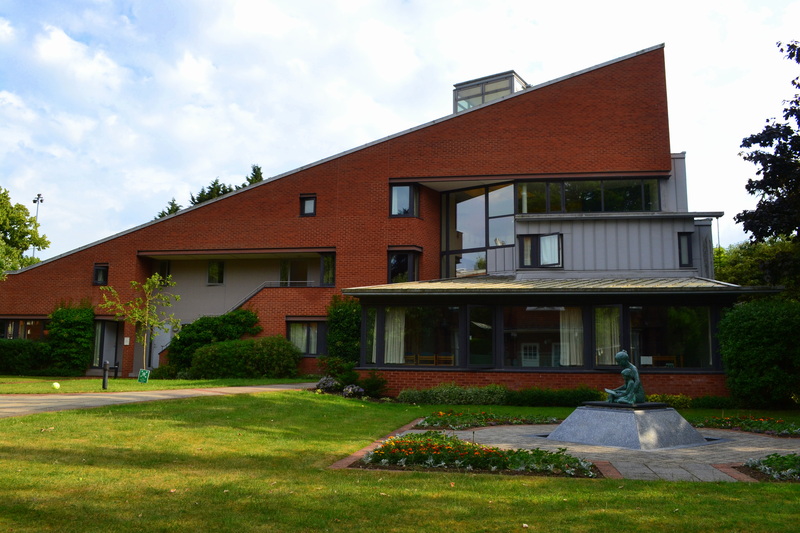 Clare Hall has one of the highest Fellow to student ratios at any Cambridge college, meaning that its students can expect a high level of academic support and plenty of interaction with their supervisors. The college is a small community of about 180 students. There is no High Table in Hall and no Senior Common Room at Clare Hall; these are key features of the hierarchy dominating most of the Cambridge colleges including the most progressive and liberal, often simply because of hundreds of years of tradition. Modern, 20th century colleges were free to choose which elements of traditional college life they wanted to adopt at their foundation. Interestingly Clare Hall was the name of the much older Clare College for several hundred years, from 1338 to 1856. 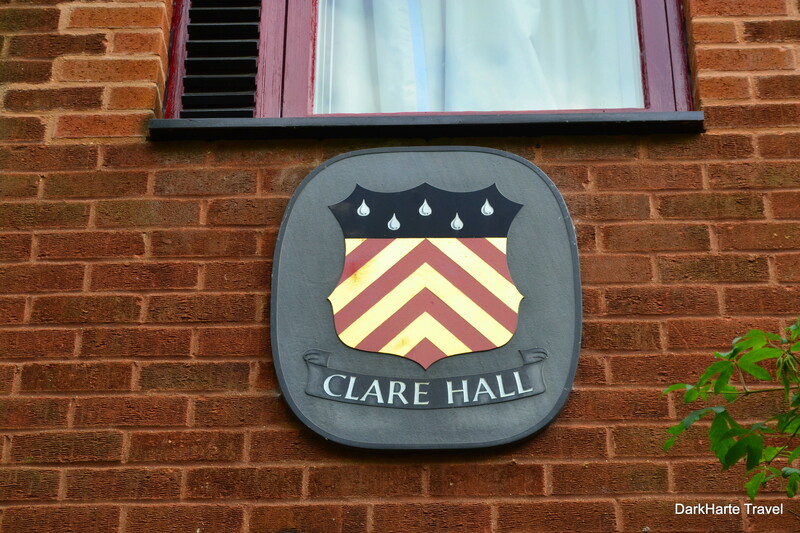 In 1966 the name ‘Clare Hall’ was then given to the new ‘daughter’ college of Clare College.